We offer Fibre Kids Fun Riders that are widely installed in playgrounds, schools and other play house. We construct these using highest grade fibres that are weather resistant and have longevity. 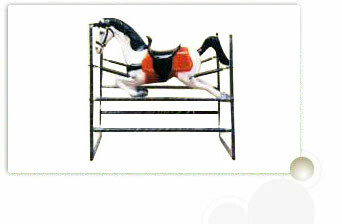 Our range of products includes elephant ride, fibre rainbow, FRP rocking horse, kids swing with plastic, kids fibre slide etc. These are attractive and enjoyable rides with comfortable sitting. The kids fun riders are accurate in dimensions and come in lively colors. 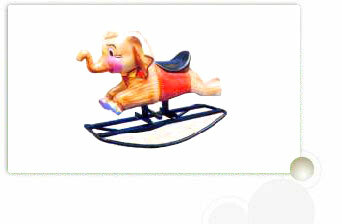 Description : We construct supreme quality Elephant Rider Toy for Kids that is made from high grade fiber material. Our elephant ride is designed with attractive colors and can bear heavy weight. These are heavy duty rides with strong base. This is installed in several children's park and gardens. 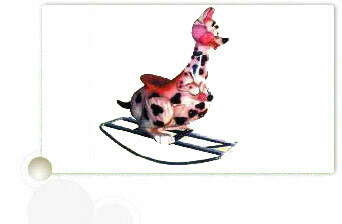 Description : We offer highly attractive Kangaroo Rider Toy for Kidsr Toy for Kids that has comfortable sitting. 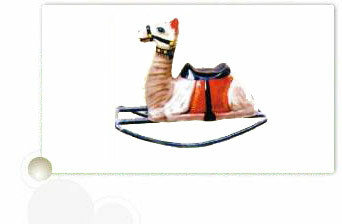 The Kangaroo Rider Toy for Kids is installed in various parks and gardens, without any complications. It moves back and forth while thrusting some weight on it. This ride is enjoyed by kids as the quick movement excites them. 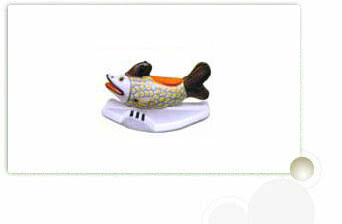 Description : Our company develops high quality Fishy Rider Toy for Kids that come in vibrant attractive color. This ride is made from quality fibre and strong base. 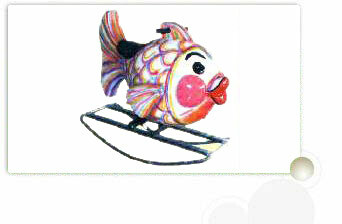 Our Fishy Rider Toy for Kids is highly enjoyed by kids who love riding. It gives exciting experience to them by moving back and forth, while thrusting their weight on these. 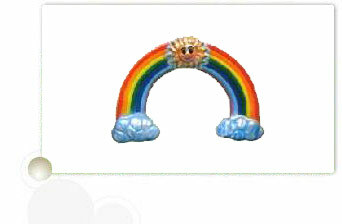 Description : We offer Fibre Rainbow Toy For Kids that has beautiful appearance and clouds and sun in it. These are installed in classrooms and activity area. It enhances the appearance of the whole room and is admired by kids. It is easily cleanable and economical. 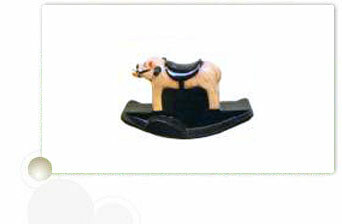 Description :The FRP Pig Toy serves as rider for small kids. The kids having 5 to 10 years of age will enjoy the ride of the pig toy.